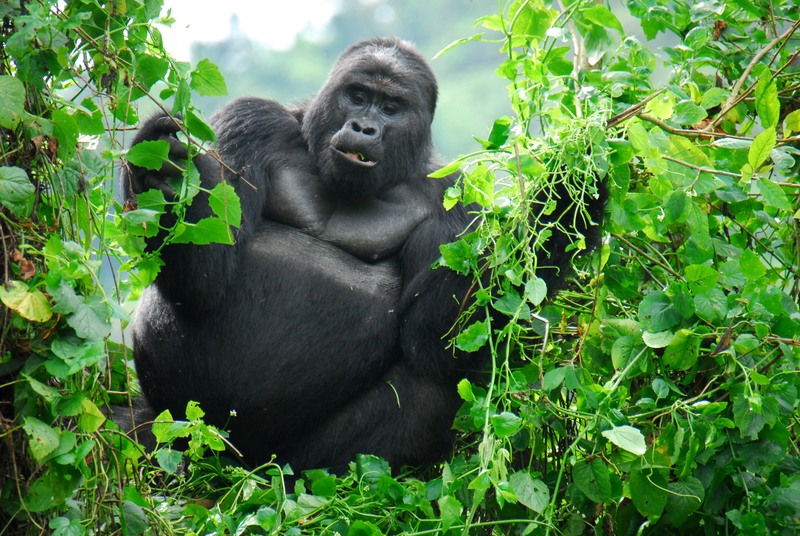 On top of our Tanzania safaris we also have this 3 days Add-on for gorilla tracking in Rwanda. 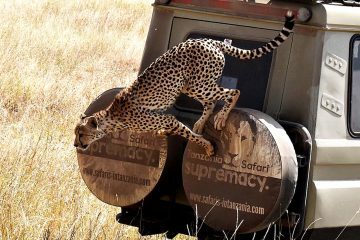 This makes your safari to Africa even more exciting. If you are a lover of primate tracking this is a great add on to have to your safari in Tanzania. We arrange your flight to and from Kigali; the capital city of this beautiful East African country that is also referred to as the ‘land of a thousand hills’. You can start with the gorilla tracking safari or do the tour at the tailor end of your safari to Kenya and or Tanzania Safari. With now availability of a regional flight from Kigali to Serengeti you can even come from tracking the amazing apes and head straight to the endless plains of the Serengeti. This is possible with Coastal Aviation, but at a considerable cost. 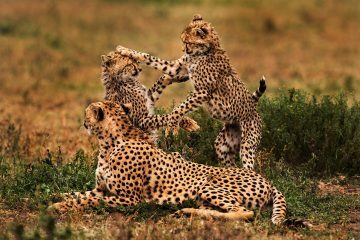 Please contact our safari experts for that possibility of connecting from Kigali in Rwanda to Serengeti in Tanzania if you don’t mind the additional cost. We offer the gorilla tracking tours in Rwanda as independent tours and can customize the tours to meet your individual needs. 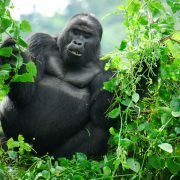 We also offer gorilla trekking tours as a short add on to the safari packages that we offer in Tanzania. Accommodation, meals, park entry fees, accommodation, gorilla trekking, transport in 4×4 safari jeeps, any historical-cultural site tours, community based tours, taxes and administrative costs. Flights, personal expenses on laundry, tips, alcoholic drinks, bank charges on swift transfers, shopping, travel and health insurance coverage. Arrival Kigali- Transfer to Volcanoes National park. Arrival into Kigali, Rwanda where you will be picked from the International Airport by our representative who will transfer you northwards to the Volcanoes National Park, in Ruhengeri. You will enjoy the beautiful scenery for the rest of the day with dinner and overnight at the lodge. Overnight at Le Bambou Gorilla Lodge. Dinner included. After breakfast at the lodge in the morning we assemble at the park headquarters for a pre – tracking briefing with the tracking guide. You will be having your packed lunch , and water with you and off we proceed to the thick forests for a fun-filled day of tracking these amazing apes in their natural habitat. The gorillas leave in families/ groups and the guide usually advises where to go tracking the gorillas. The tracking time varies from 2 – 8 hours depending on how far they are hiding. We will spend at least an hour watching the gorillas after we spot them and then descend back to the hotel/lodge for relaxation. While back at the lodge you can go for a nature walk or even visit the local villages to meet the Banyarwanda community. Dinner and overnight at Le Bambou Gorilla Lodge. All meals included. 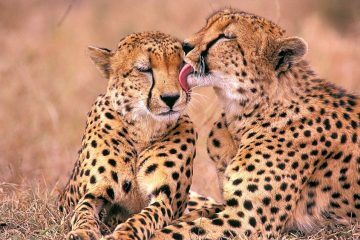 Transfer to Kigali – Departure or Fly to Tanzania or Kenya for on wards safari. Breakfast at the leisure at your lodge then we transfer back to Kigali City. Depending on the your schedule it is possible to have a tour of Kigali City where you can visit the local market, museums and the genocide memorial center ( if you wish) then transfer to the Airport for your on wards travel. *We can arrange your connections flights to Kilimanjaro, Nairobi or Dar es Salaam. The same package can be revised to include 2 days of gorilla tracking and make it a 4 days package instead of 3 days. Other national parks as well can be incorporated in your customized tour.